First, let’s look at kipping pull-ups. It’s not just Jillian Michaels. A lot of people are against or are skeptical of kipping pull-ups. So why do I believe in them? In very basic CrossFit terms, with kipping, you are able to do more work faster. 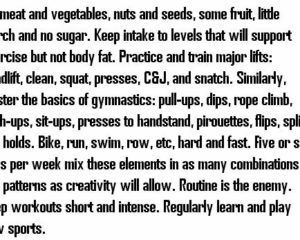 While, sure, that’s not always the point of every workout or every exercise, it is a part of the 10 pillars of fitness as defined by CrossFit. By kipping, you are able to generate power from the hip, transfer it through the body, then into your arms, creating a movement that originates in your core and moves to your limbs, and also generates more power. It’s like the difference between a push press is to a shoulder press. A shoulder press is a strict movement that does not utilize momentum, whereas a push press uses force generated through the lower body to propel the arms up. I also believe kipping helps build functional strength. You are teaching the body to create and control a core-to-extremity movement like throwing a baseball—or if you want to go way back, throwing a spear. Plus, kipping does apply a full range of motion if done correctly. The kip involves a concentric phase (contraction) when you are pulling up, no real isometric phase (static hold), maybe for a split second at the top, and an eccentric phase when you are coming down into the next rep (lengthening). Also, in CrossFit, we perform many variations on the pull-up—strict pull-ups, kipping pull-ups, strict chest-to-bar pull-up, kipping chest-to-bar pull-up, and, finally, a bar muscle-up. All five of those movements build off of each other and have your body pulling in a different plane of motion.